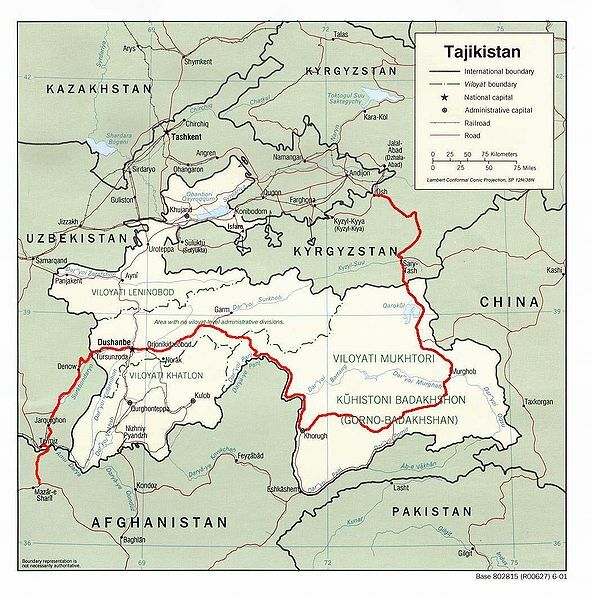 The Pamir Highway, officially named M41, is a road that winds through the Pamir Mountains, crossing through Afghanistan, Uzbekistan, Tajikistan and Kyrgyzstan. Even though Soviet military engineers built the present day road in the 1930s, it was in use historically on the original Silk Road. The highway traverses the high plateau of the Pamir Mountains, passing through a Central Asian scenery punctuated by yaks and yurts, with shining deep-blue lakes. The Pamir Highway is a harsh road, taking you through tough mountain terrain with wild natural beauty, border-guard checkpoints, and over Tajikistan’s Gorno-Badakhsan Autonomous Region. Beginning in Osh, Kyrgyzstan and ending in Afghanistan, the Pamir Highway is the second highest road in the world.